An “armed” drunken thug attacked an innocent man who was on the way home from work in Nelson centre in the early hours. Callum Andrew Thomas ran towards Zeshan Elahi, shouting, “Come on then,” with what the victim thought was a stick or a bat in his hand. Thomas then squared up to Mr Elahi and booted him in the ankle in the violence on February 21st. Burnley magistrates were told how another man then approached the victim from behind and he turned and fled back to his place of work, before returning with his brother and colleagues. Thomas (24), who was on licence, subject to a conditional discharge and who has 33 previous convictions, was said to see himself as the victim. He claimed to have been subjected to a racially motivated attack by a gang in the area. The hearing was told the defendant, who had a conviction for wounding, had been involved in a lifestyle of going out drinking and getting in fights afterwards, but now claimed to have changed. 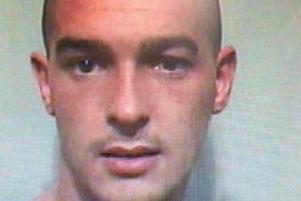 The unemployed defendant, who also smashed his ex-partner’s window three months later, admitted assault by beating and criminal damage. Thomas, of Cooper Street, Nelson, received a 12-month community order, with a 30-day rehabilitation activity requirement, was fined £20 and was ordered to pay a total of £80 compensation. He was told by the bench he believed his circumstances and behaviour were somebody else’s responsibility.